Well despite Newcastle only actually signing one player out of the hundreds we were linked with over the course of the summer window, they are at it again. 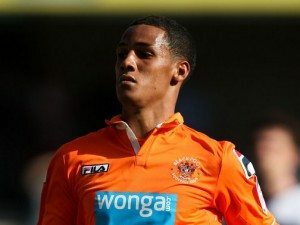 The player we are being linked with now is Blackpool’s Tom Ince who Newcastle had allegedly offered £4m for in the window just gone…yawn yawn. For what it is worth (which isn’t a lot! ), Ince is a fast goalscoring winger whose father is Paul, or the ‘Guvnor’ as he liked to think of himself. Tom was at Liverpool before moving to Blackpool with compensation agreed between the clubs. Maybe the most interesting thing (at least for me) is that I smiled when I saw his name crop up. On holiday in Cyprus last month, my son was playing water polo with this lad from Blackpool. As they messed about pretending to be footballers when they scored ‘goals’, the kid from Blackpool was shouting out ‘Messi!’ as the ball hit the net, then at times it was ‘Cisse!’ but the name he shouted out most was ‘Tom Ince!’.